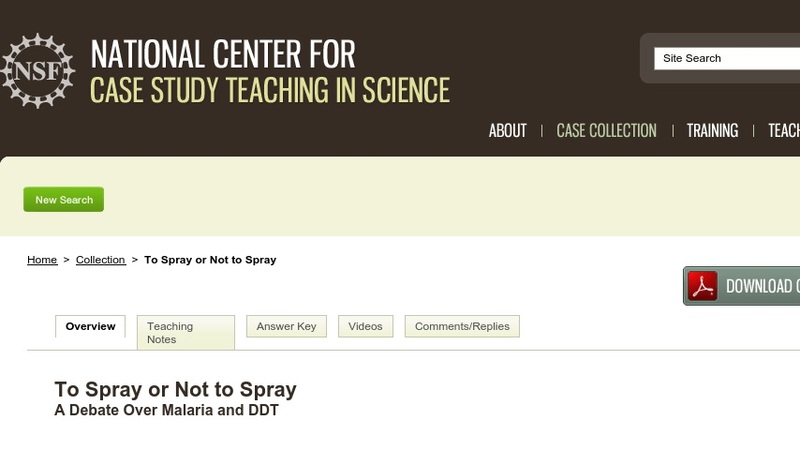 In this case study, students grapple with the complex issues surrounding the use of DDT to control malaria in the developing world. In their examination of the issue, students consider risk/benefit analysis and the precautionary principle, two techniques used when making policy decisions involving the impact of science and technology on society. The case has been used in a senior honors seminar for both majors and non-majors dealing with the nature and impact of science and technology on society as well as in an organic chemistry course for science majors.